For years I felt uncomfortable to talk about this specific topic, as many of us would do. I played World Of Warcraft for years and it played a key role in my career becoming a designer, opening my own design studio and landing a job as Product Design Lead at Spotify in New York. World of Warcraft or any MMOPRG games are usually getting a bad rap. We love to talk about how people lose their jobs, lose all their friends or even die, but rarely talk about the other side. But today, I would like to talk about just that. I’ve always been drawn to competitive online games when I was a teenager, from Quake, Counterstrike to World of Warcraft. For me it was less casual playing, but more mastering the mechanics of the game to become a successful competitive online player. I loved everything about it. I started playing World of Warcraft when it launched in 2004. I got hooked immediately and spend at least 6+ hours a day in game. At the time I worked at a tech company trying to finish my apprenticeship as a computer scientist which I started right after high-school. I wasn't too invested in the job and therefore spent most of my time playing computer games. I was naturally looking for an escape because there was nothing else I was passionate about — It was a strange situation in my life and I didn’t really know where to go next, I was lost and working as a professional designer wasn't really an option at the time. My main character was an Orc warrior (skilled as tank and optimized gear for raiding). 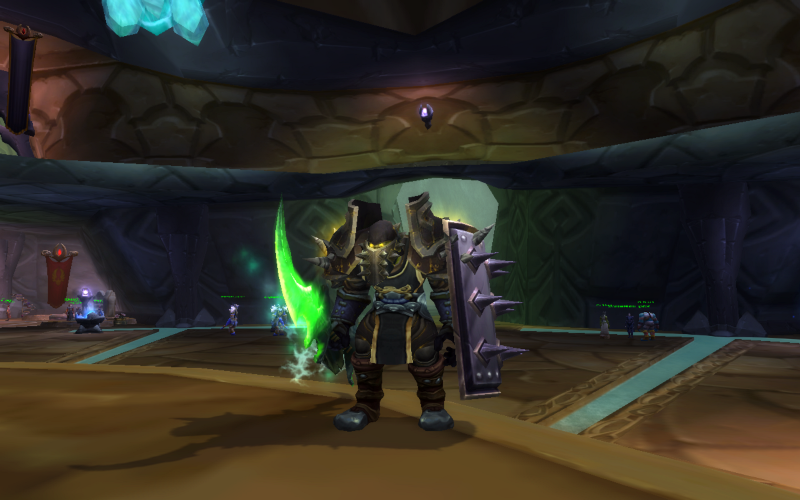 Next to a healing class, the tank used to be the most difficult character you could play on a higher level and was usually the one who leads large groups (up 40 people) through dungeons during raids. I was immediately drawn to this challenge, finally something I can prove myself at. This is my lvl70 orc warrior, back in “The Burning Crusade” add-on. Running around in Shattrath City. World of Warcraft had a big impact on where I am today. The lessons I learned simply playing a game are still relevant for me today. World of Warcraft made me appreciate good interface design. Blizzard has always been one of my biggest inspirations and online gaming brought me into the web design community, where Blizzard has been on the forefront of creating stunning online experiences. It all started with the need of building the website for my own counterstrike clan in 1999 and continued even further when building websites for my WoW guild in 2004. 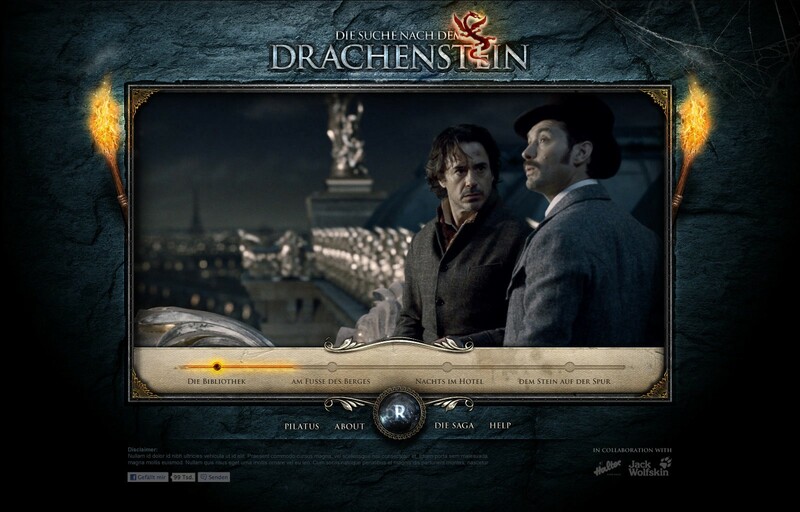 Without WoW or Counterstrike I would have never gotten into interface design or web design — I’ve been a self-taught designer since then and I largely have to credit the gaming community for introducing me to the craft of design and user experience. Below you can see a website/game I designed years ago, inspired by game design, most of my early designs had a high amount of detail and took me weeks to complete while drawing each element in Photoshop. A guild in World of Warcraft usually consists of around 100–200 members with a raid core of 50 people that rotate depending on their schedule. 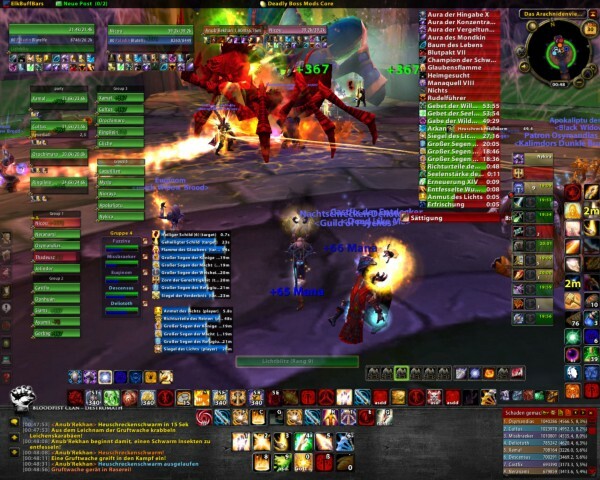 Early WoW raid groups consisted of 40, 25 or 10 people. Managing a guild or a raid meant that you have to coordinate dozens of people remotely. The big challenge being most of them I never met in person plus dealing with a wide range of different characters, from the 15 year old extrovert, to the 40 year old introvert — In gaming you have them all. Planning of raids involved setting up communication tools such as online forums, IRC channels and Teamspeak. Even online calendars were setup to schedule our daily training sessions and raids. Making sure people show up on time, practice the raid tactics and stay focused on the goal was within my responsibilities. World of Warcraft taught me organizing teams and work flows. I learned value able management lessons while playing a game for fun & risk free. Many of those lessons I instantly applied after founding my own small design studio later on. On top of that, getting the tactics and team play right while optimizing your gear for certain challenges was a must. For me that meant about 6–8h in game each day doing my home work in preparation for our raids. This was a valuable lesson and the success of a raid was directly impacted by these small little details. And the only reason I understood this was because I experienced very rewarding moments of success in game, based on the preparation & discipline we put in. It was a simulation of everything I put in practice in my “real life”. I have always been the person who thought I can do it myself. Most of my young life I was the one without many friends going my own way — I was certainly not a big team player. Me as healer, trying to keep a group of 25 people while reading the raid. World of Warcraft taught me otherwise. Playing high end content within the game is a team sport, there is no way you can succeed without a great team even if you are the best individual player around. On top of that, World of Warcraft introduced me to a wide range of different humans far outside my average social circle — From the 40 year old mother with 3 kids, to the 12 year old boy. This is unique to the gaming community, you don’t find that anywhere else — Everyone is equal, it’s an amazing and unique experience. The friendships I made in game last until today, they are in fact one my longest friendships. Since I dropped out high-school with the age of 15 I did not speak any language other than german. Maybe a few English vocabularies, but that was pretty much it. In order to learn English I started playing on an English WoW server which automatically forced me to write, speak and understand the language in order to communicate with my team mates. World of Warcraft played an essential part of helping me to learn the English language, even though I have to admit that in the beginning my vocabulary was mostly limited to words & phrases we used in the medieval times. I played World of Warcraft for many years and for most of the time people around me told me it’s a game for nerds, losers or anti-social idiots. For me, World of Warcraft changed my life for the good, it played an essential part of where I am today and I could not be more thankful. PS: You played too? Let me know!